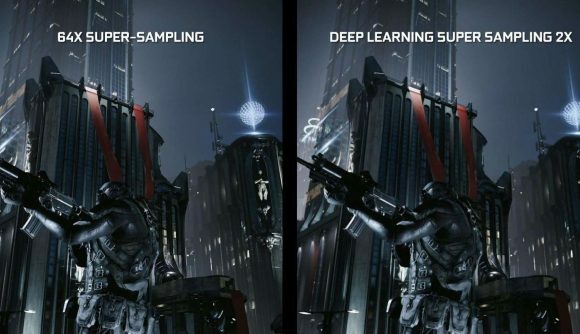 Nvidia’s Deep Learning Super Sampling feature is being added to Battlefield V today, taking the number of games using it up to two. Plus a benchmark. That will change very soon, as more key RTX titles come out of the woodwork, and we know of at least one that’s going to arrive very soon. 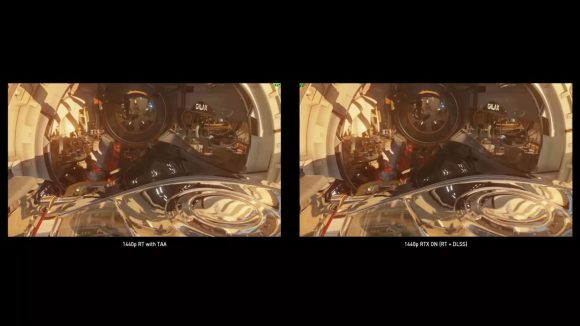 But that modest support is only one of the reasons for AMD’s dismissal of DLSS, the main one being that the existing, open standards of SMAA and TAA don’t come with “the image artefacts caused by the upscaling and harsh sharpening of DLSS.” The extra detail that DLSS provides, compared with the fuzzy, blurred images you can experience with temporal anti-aliasing, has been seen as one of the benefits of DLSS. But obviously not from AMD’s point of view. 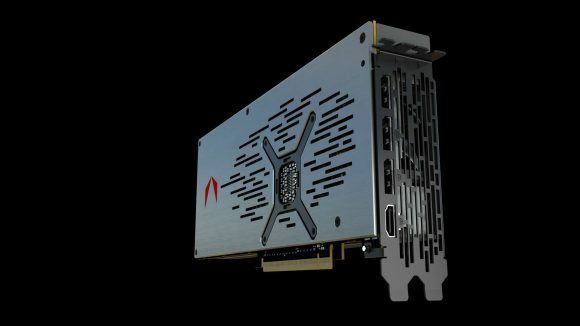 AMD’s Adam Kozak spoke to journalists after the CES unveiling about the Radeon VII’s compute prowess and mentioned that an “Nvidia DLSS-like thing can be done with a GPGPU-like approach with our GPU.” That prompted speculation that the red team would be matching Nvidia’s machine learning approach and that maybe we’d see something similar happening with future Radeon graphics cards. That doesn’t look too likely any time soon as the AMD representatives hosting the recent briefing explained that it was doubling down on SMAA and TAA. “Some of the other broader available frameworks,” says Neelalojanan, “like WindowsML and DirectML, these are something we are actively looking at optimising… At some of the previous shows we’ve shown some of the upscaling, some of the filters available with WindowsML, running really well with some of our Radeon cards. While AMD isn’t actively pursuing DLSS-like technologies right now, that isn’t to say it’s not possible something similar will be rolled out using WindowsML or DirectML to create an open source version of DLSS. Using machine learning to enhance the visuals and the performance of games on Radeon GPUs in the future is therefore still a possibility. Just hopefully without that “harsh sharpening,” eh?